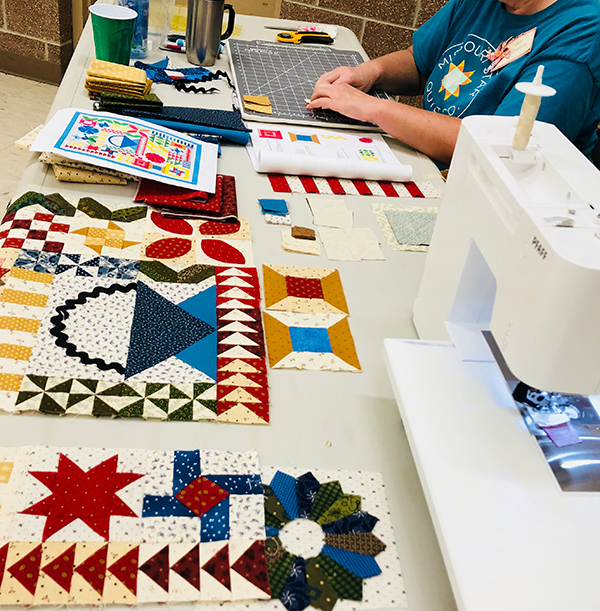 Last week I co-hosted a quilt retreat with Wagner’s Quilts & Conversation in Arapahoe, Nebraska. 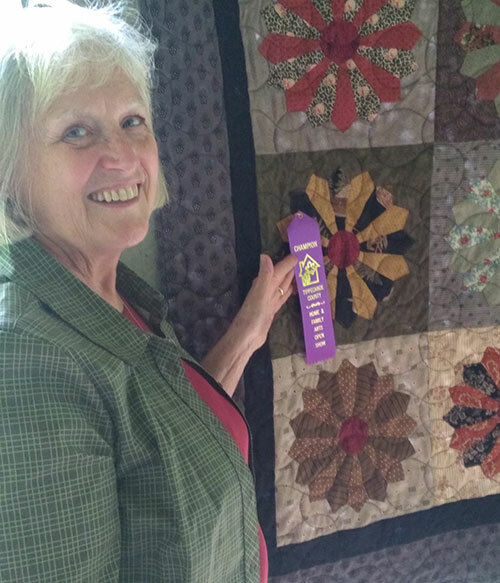 Eighteen quilters joined us for three days of fun. The food was great and the company was amiable! 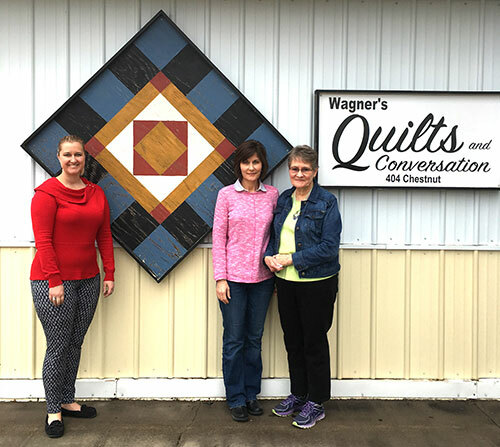 The owners of Wagner’s Quilts are Ruth and Gretchen, a mother-daughter team. They’re good at making an event feel special. We worked on Petit Patchwork, shown above, a small quilt I designed just for this event with the idea of teaching several new skills as we progressed. 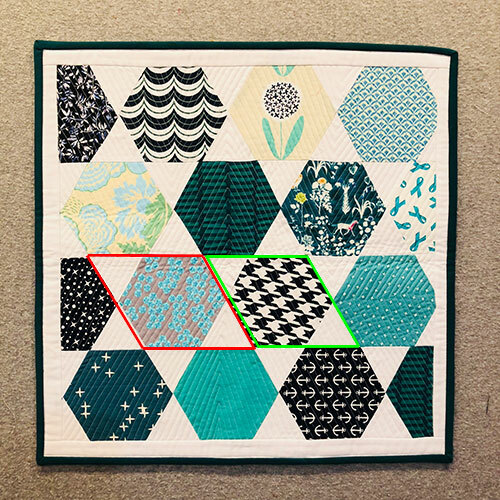 We covered partial seaming, mitering, Dresden Plate, stitch-and-flip, Flying Geese, raw-edge fusible applique, and increasing your accuracy for small piecing projects. 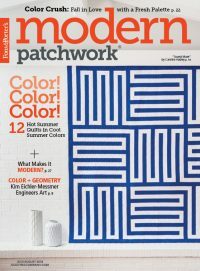 I also showed them how to create scalloped borders for this quilt or any future projects. It was a lot to cover, and I know that sometimes they felt as if they were drinking from a fire hose. On the first afternoon, we made some 5-1/2″ Dresden Plates. 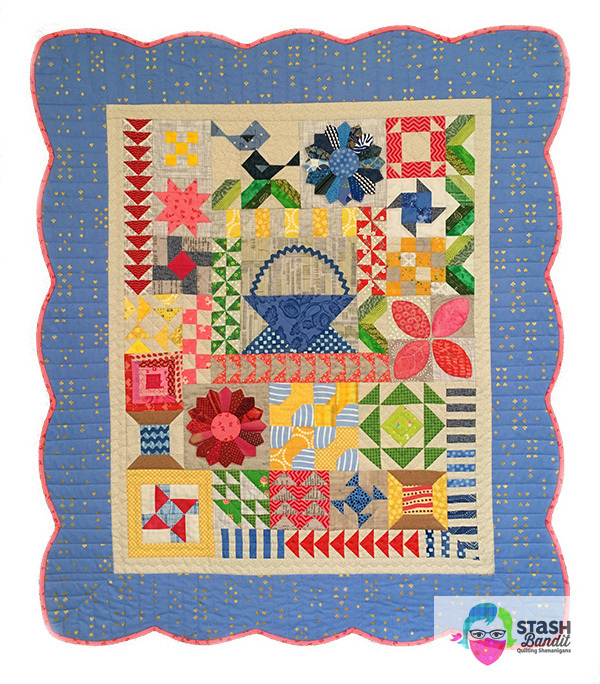 The color choices for the kits were 1930s, brights and Civil War reproductions. 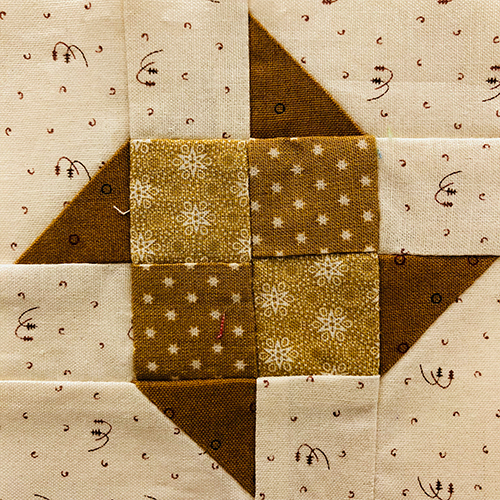 We also spent time tweaking our seam allowances so the patchwork would come out to the correct size. 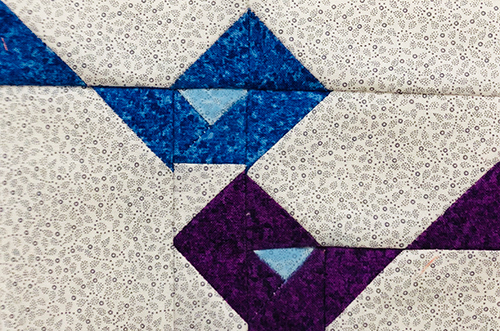 We spent a considerable amount of time on the little 4″ x 6″ bird blocks. 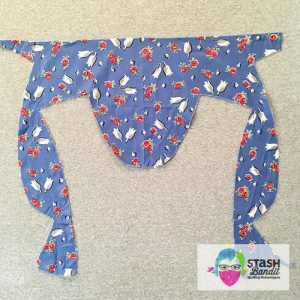 They’re not really difficult but there are a lot of pieces to manage, and you must sew accurately so the parts all fit together nicely. 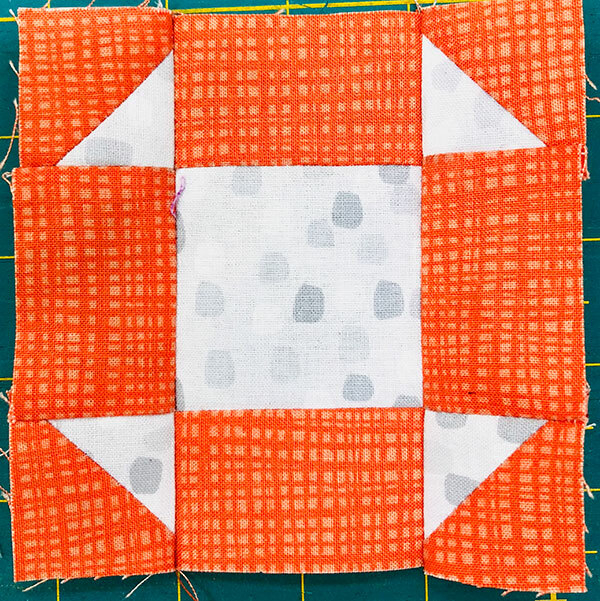 This is a block that gets easier with practice. 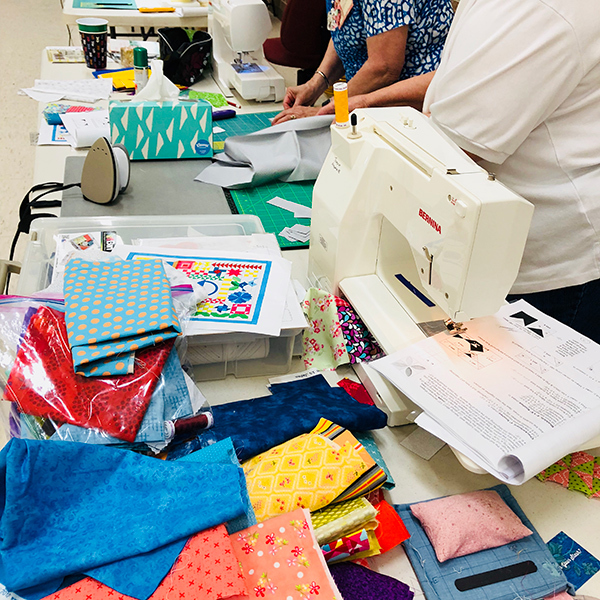 Some of the quilters will probably make their birds again, and I’m sure it will go more smoothly the second time around. 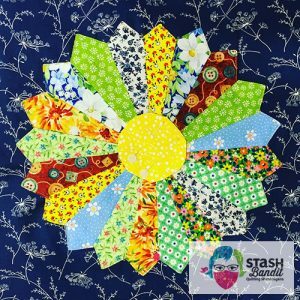 This 4″ Spinwheel block turned out really cute! 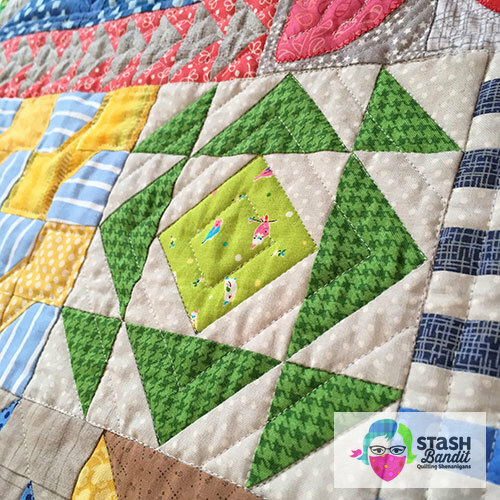 There’s something about small patchwork projects that is just so appealing. 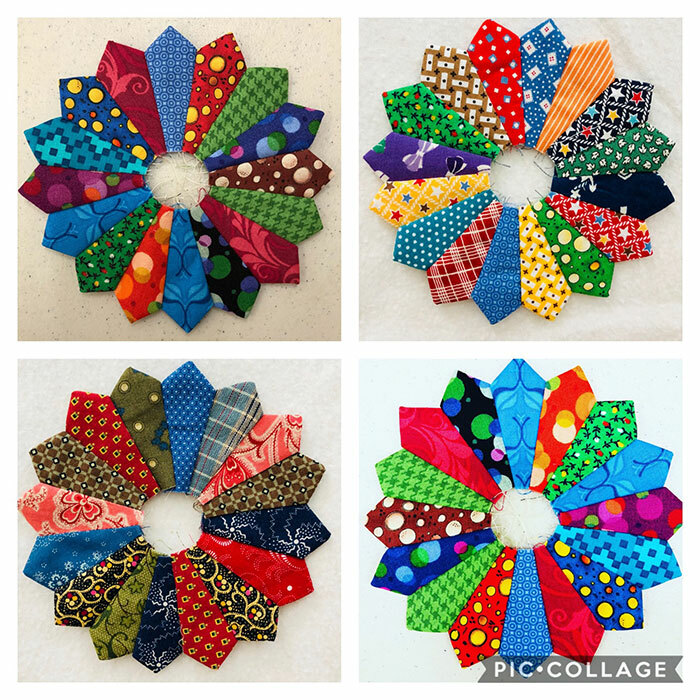 We made a lot of progress over the course of three days. There were messes everywhere—always a good sign. Some of the blocks had dark fabrics for the backgrounds, which gives the quilt dimension and keeps it from being too predictable. The meals were catered locally, and they were delicious. Breakfast and lunch was included, and then we found dinner in the evenings on our own. It worked out really well. 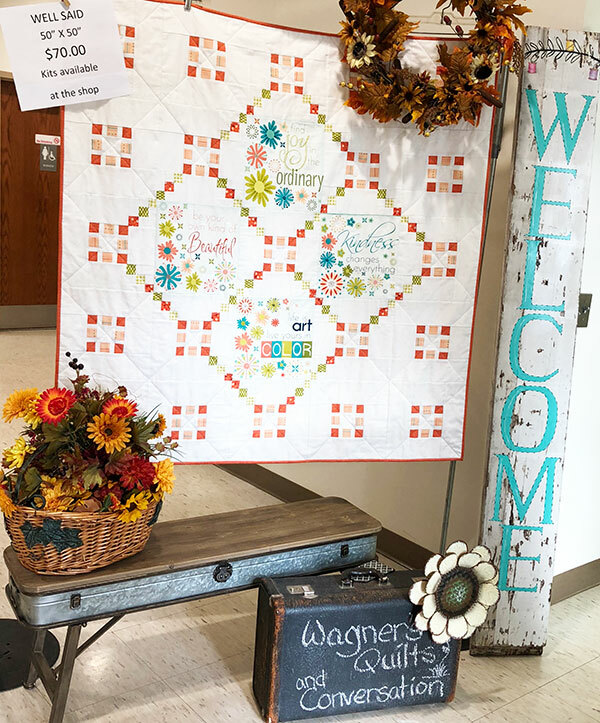 Wagner’s Quilts provided gift bags for everyone and a nice coupon to use at the shop, about three blocks from the community center where we sewed. Everyone had plenty of space and the lighting was good. We didn’t trip a single breaker. I enjoyed getting to know them better. More than half were returnees from last year’s retreat in the same community. They put on a stellar show-and-tell on Friday afternoon. 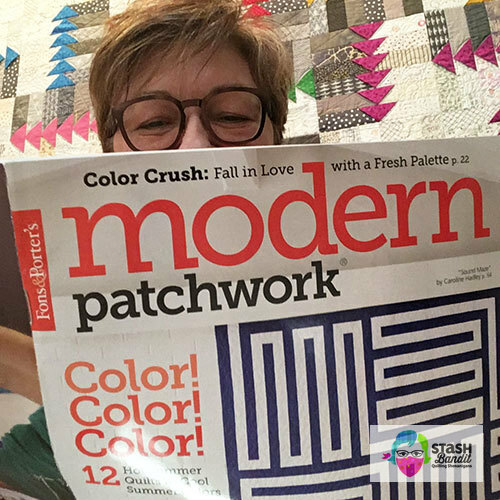 I’ll show you those quilts in the next post. 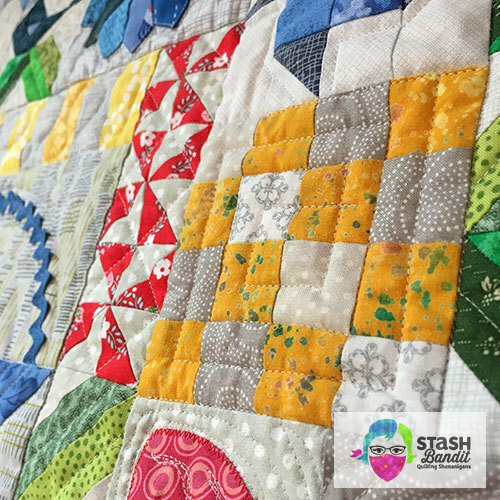 I hope you can join me for a quilting retreat some time! 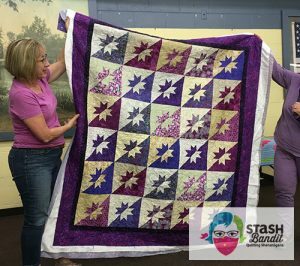 Soon I’ll have details for the Stash Bandit Mountain Retreat in Colorado in March of 2019. Maybe you can come?! 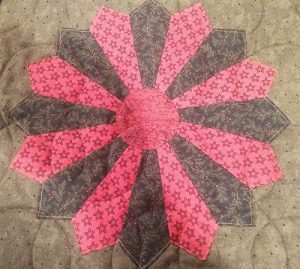 At the very beginning of summer, I drove to Lafayette, Indiana to share a trunk show of scrap quilts and teach a class on Dresden Plate. It was delightful! 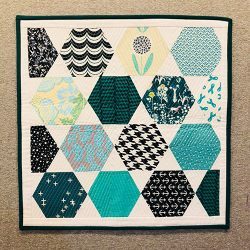 One of the quilters in the class emailed with big news last week, and it reminded me to blog about the Common Threads Quilt Guild. 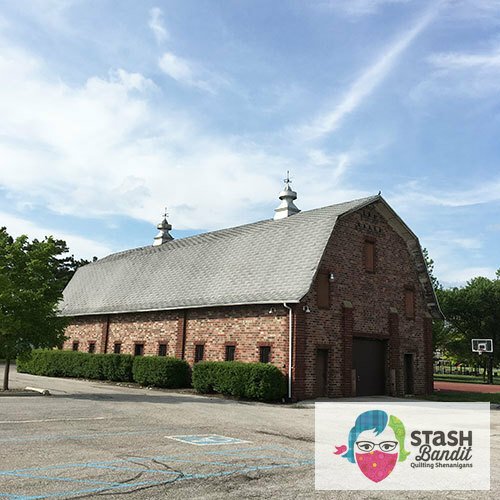 This cool old barn was in the same parking lot as their meeting place in Lafayette, at a spot called Jenk’s Rest. I love old cupolas and someday I’m going to have one in my yard. 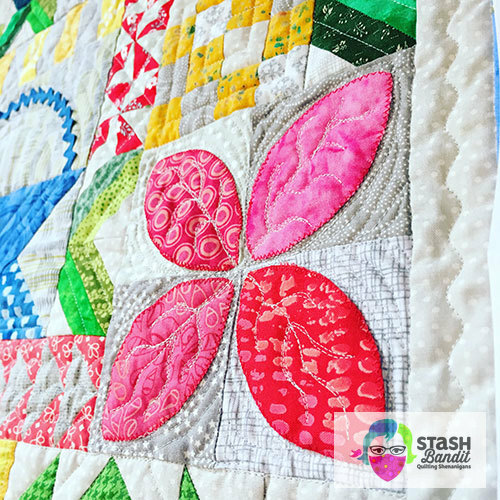 I’d love for you to join me for a skill-building extravaganza during three days of quilting, laughter, great food, fun and relaxation! 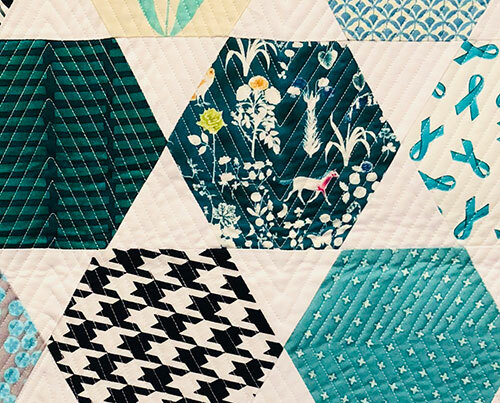 Here’s the little quilt we’ll be using to beef up our toolbox of quilting tricks. 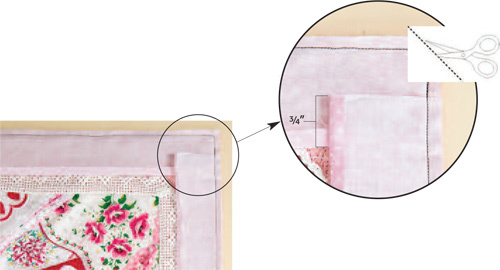 It’s about 36″ x 40″. 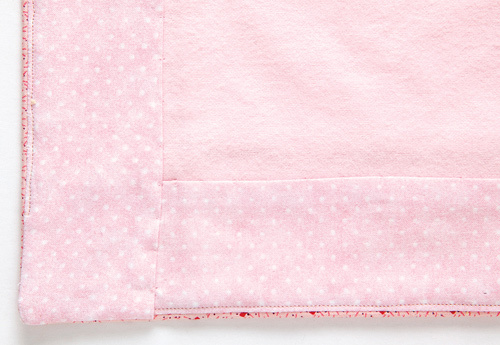 The blocks are from 2″ to 8″. The techniques we’ll be learning include Dresden Plate, fusible applique, stitch-and-flip with accuracy, options for making HSTs, mitering, paper foundation piecing (optional), how to create scalloped borders for any size quilt, serpentine stitch quilting and binding curves and scallops. Doesn’t that sound like fun?! It will be a busy three days. Wagner’s is planning delicious food in abundance, and you can treat yourself to a massage on site if you wish. 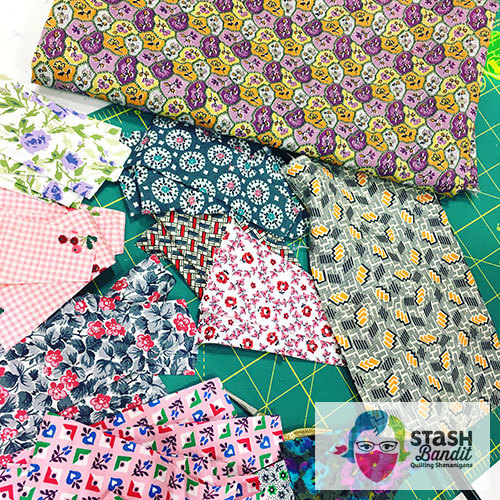 New quilting friends and uninterrupted sewing time at one of the most beautiful times of the year! We’ll take short walk-breaks, weather permitting. Arapahoe is a lovely little town, a perfect example of life in rural America. 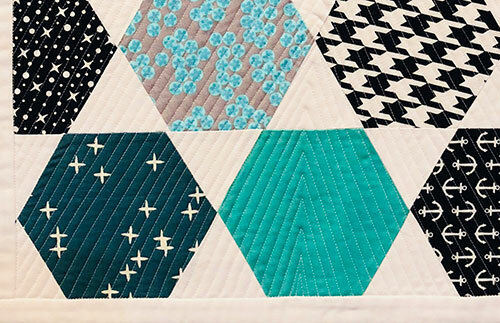 Get ideas for improving your machine quilting. 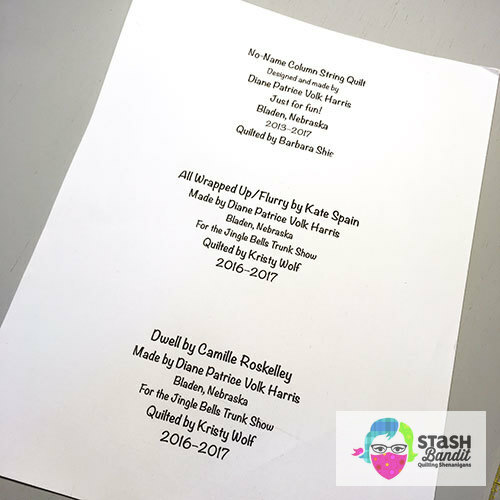 Learn my easy mock-hand binding by machine. 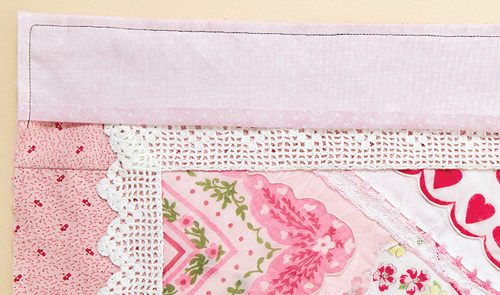 Gather gusto for labeling your quilts with a finishing flourish! 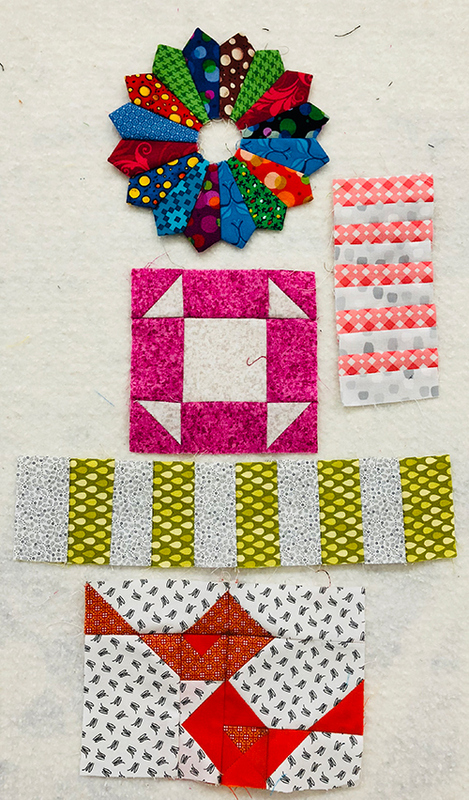 All included in the retreat price of $200, which includes meals, three days of instruction and a kit for the quilt in your choice of three color stories: primary (shown), 1930s and Civil War. Lodging is available separately, and you’ll be given details when you call Wagner’s to register at 308-962-8458. See how friendly and fun they are? From the left are Sarah, Gretchen and Ruth. We’ll all make certain you have a wonderful time. Please join us! Call Wagner’s to register: 308-962-8458. 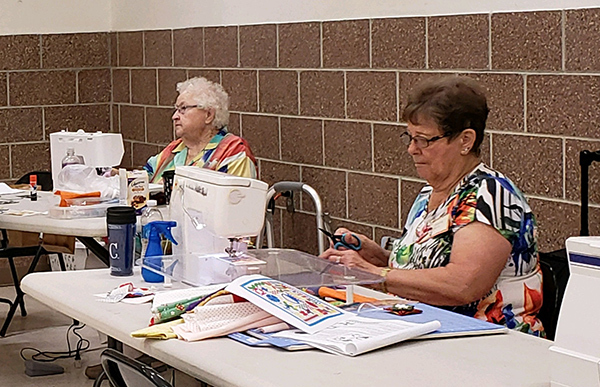 A while back I was with quilting buddies in Holdrege and there was a garage sale at the senior citizen’s center. 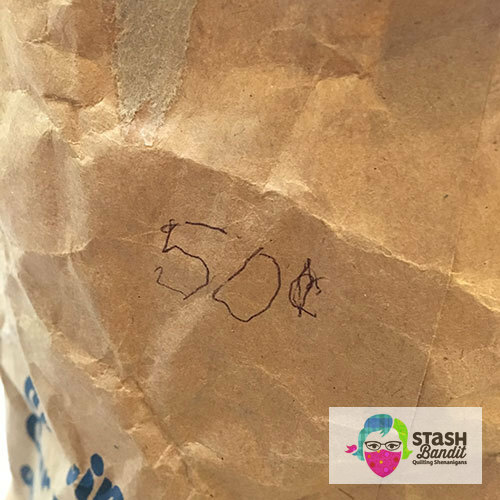 I spied a beat-up brown grocery sack with “50¢” scrawled on the side. 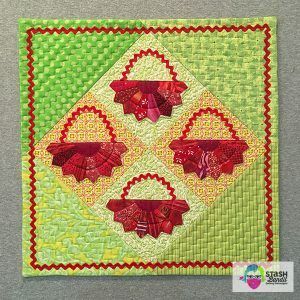 The sack was full of old fabric scraps, and a quick look told me they were mostly small pieces. But for a price like that, I wasn’t about to leave them behind.